HP LaserJet Pro 500 color MFP M570dn is a handy Laser All-In-One Printer delivering crisp and detailed images and files. 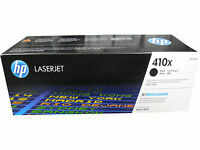 The 31 ppm printing speed provided by this color model makes it easy to complete any printing jobs with efficiency. In addition, it is capable to network with various devices. Printer arrived quick and in perfect condition! This printer is the best choice for printing out full page pictures; especially pictures of crops taken from a drone. The colors are very distinct and show the actual color of the plants. Number one in this aspect. The cost of ownership is very low because of the reasonable cost of compatible toners for this printer.